Professional Occupational Therapy Program Requirements for Advanced-­Standing Students B.S./M.S. The program is two-and-a-half years (five semesters) of coursework, including fieldwork experiences. Students enroll in a 1-credit January term (J term) Level 1 fieldwork course in between the first and second semesters of the first year of the professional program. There are no summer course requirements. Advanced­-standing students complete the first year of the professional program as part of their B.S. degree in occupational science. Professional Occupational Therapy Program Requirements for Entering Graduate Students M.S. In order to be awarded a M.S. in occupational therapy from UNH, students must earn a minimum of B- in all required occupational therapy courses and receive a passing criterion score on the American Occupational Therapy Association Fieldwork Evaluation for the Occupational Therapist in both 12-week Level II fieldwork experiences. Students must maintain an overall GPA of 3.0 and meet professional behavioral standards, which are explained in detail in the OT Department Policy and Procedure Manual. Because curriculum review and revision is undertaken annually, occupational therapy faculty work closely with students during academic advising sessions and share information about any policy and requirement changes during registration periods as well as throughout the academic year. Students are expected to take an active role in verifying expectations and requirements and should check with their departmental advisers each September for updated policies and requirements. Program requirements and policies for retention in the major are posted annually in the OT Department Policy and Procedure Manual, which is available on the OT department’s organization site on MyCourses; students are provided a hard copy or a digital copy of the manual when they enter the program. Students will participate in a variety of off-­campus and fieldwork experiences throughout the course of study. 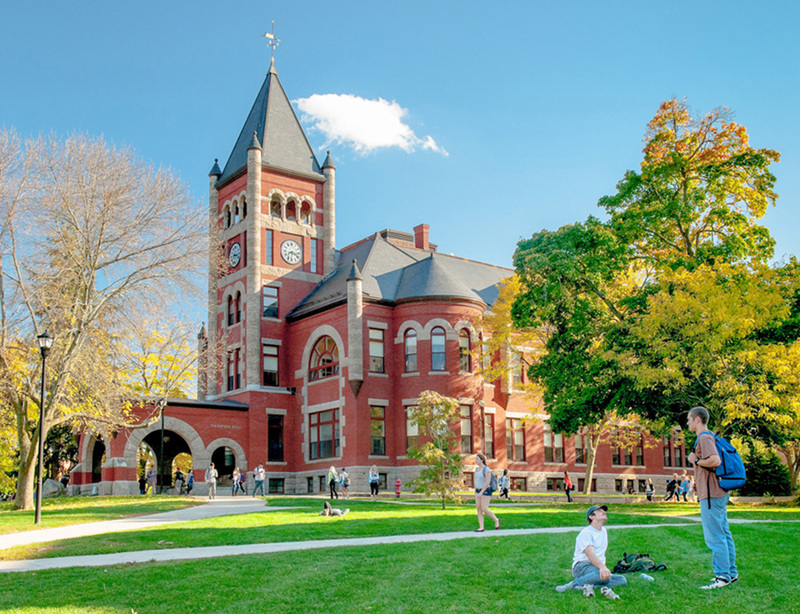 Students are responsible for transportation to fieldwork sites and other off-campus learning experiences and are covered with basic personal liability insurance through UNH for all practical components of the curriculum. Students are responsible for meeting the health and criminal record clearances established by their fieldwork sites and off-campus learning experiences. Proof of immunization such as poliomyelitis, rubella, H1N1, and hepatitis B may also be required. For Level II fieldwork, health insurance and a physical examination, including a tuberculin test, are required. All fieldwork experiences are scheduled in centers approved by the Department of Occupational Therapy and with whom active Memoranda of Understanding with UNH exist. After successfully completing all Level II fieldwork requirements and academic work, students are awarded a Master of Science Degree in Occupational Therapy. They are then eligible to sit for the National Board Certification Examination in Occupational Therapy (NBCOT). Consistent with NBCOT expectations, students must sit for the certification examination within two years of completion of coursework and fieldwork. A felony conviction may affect a graduate’s ability to sit for the NBCOT certification examination and/or obtain State Licensure. Curriculum and schedule: Most classes will be scheduled during weekdays during the day and into early evening. Some courses require experiential, off-campus learning in addition to off-campus Level I and II fieldwork experiences that are two­ weeks and twelve weeks, respectively. These full­ time experiences are planned collaboratively with the academic fieldwork coordinator. Plan of Study for Advanced-Standing B.S./M.S. Plan of Study for Entering Graduate Students M.S. Advanced-standing students are required to have 44 graduate credits, which includes 16 to 18 credits of fieldwork, in addition to 36 credits, which includes 1 to 3 credits of fieldwork, taken as part of the occupational science degree. The spring semester of the second year is an extended semester of fieldwork. Students' Level II fieldwork is completed the third week of June. Course requirements for OT 865 Occupational Therapy Practice and Professional Reasoning, include a capstone experience in which students synthesize knowledge from academic coursework and fieldwork experiences to develop an innovative occupational therapy program that addresses the needs of a specific population or program. The professional master’s degree track requires the completion of 74 graduate-level credits, which includes 19 credits of fieldwork. Two letters of recommendation should address the applicant’s educational abilities and performance, while the third letter should address the applicant’s interpersonal and communication skills as observed in a volunteer or paid work setting. Essays should integrate a discussion of the applicant’s experience working with people as a volunteer or employee, demonstration of a broad understanding of occupational therapy, and an explanation of personal interest and match for the profession. Applicants who are not in the UNH B.S. in Occupational Therapy program must submit a one-page resume that details academic, work, and related experiences. Prerequisite Course Verification Form (required): The program requires that all applicants print and complete the OT Prerequisite Course Verification Form. All prerequisites must be completed at the time of application. Please email the form to the UNH Graduate School. If you have questions about using the form, please contact the OT program. Current and recently graduated UNH B.S. in Occupational Therapy students do not have to submit the prerequisite verification form. Professional Master’s Degree Track (e.g., those without a B.S. in Occupational Science): Please note that this is a highly competitive program with a very limited number of openings available. Accelerated Masters Program: For those applicants interested in doing the accelerated masters program in Occupational Therapy be aware that the graduate-level courses taken during a student's senior year can only count towards the Certificate in Assistive Technology, and not the MS in Occupational Therapy degree. All applicants are encouraged to contact programs directly to discuss program specific application questions. What are the prerequisites for the OT MS Program? For students applying to the fall 2018 MS class and beyond. Human development course covering the lifespan (two courses needed: one course covering child development and one course covering adult development). Do all of the prerequisites need to be completed to apply? Students who have completed all prerequisites will be reviewed more favorably, however, students may apply while still completing prerequisite courses. All prerequisites must be completed before beginning the program in the Fall semester. To register for a campus tour please visit admissions. How do I apply to the MS Program? Please apply through the graduate school online application. How do I register for prerequisite courses at UNH? To resister as a Non-degree student you must go through Continuing Education. I have been out of school for many years and don't have access to recent professors to ask for references. What should I do? We are looking for references who can speak to your ability to handle complex and dynamic information, your work ethic, your ability to handle stress, and your communication skills. While we prefer two references from recent professors, people who have supervised you in a professional, work/volunteer capacity are also acceptable. What is the deadline for MS Applications? However, we encourage applications to be submitted to the graduate school by the end of December to ensure that all applications are complete in time for review. We also encourage applicants to periodically review their application status on the graduate school website, and to contact the graduate school if items are missing. What is the topic for the admissions essay? We are looking for strong writing skills and a clear presentation of your understanding of Occupational Therapy. We especially appreciate creative approaches to telling your story, and describing why you believe you would be a good fit for the profession. What should I look for in a neuroanatomy course? The Neuroanatomy course must be rich in content related to the neural basis for movement and sensory functions. Course content must incorporate an overview of the anatomical organization and function of the central nervous system, including blood supply and meninges; sensory pathways; motor pathways; cranial nerves; and spinal cord, including spinal nerves. Typical course objectives of an appropriate course should include wording about providing students with a basic working knowledge of the central nervous system and presenting the basic functional neuroanatomy required to understand and interpret the neurological examination of individuals with neurological impairments. These courses can often be found at schools that offer medical professions education, including Occupational Therapy and/or Physical Therapy majors. UNH offers this course (KIN706/707) in the fall semester and in the early summer. There is one acceptable online course of which we are aware at San Jose State (Bio 109). Neuroscience courses typically do not meet this prerequisite. Where can I take the prerequisites? Prerequisite courses may be completed at any accredited college or university. Once students have completed all their academic and fieldwork requirements for entry-level practice, they prepare to take the NBCOT exam. This is one exam for which students cannot cram! But students certainly can prepare for it. The below links provide information about the exam’s format and content and guide you through the process of using your fieldwork experience as a study guide. The Neuroanatomy course must include content related to the neural basis for movement and sensory functions. This includes an overview of the anatomical organization and function of the central nervous system, gross anatomy of both central and peripheral nervous system (including blood supply and meninges), sensory pathways, motor pathways, cranial nerves, and the and spinal cord and spinal nerves. At the end of the course students should have a basic working knowledge of the central nervous system in order to participate in the neurological examination of individuals with neurological impairments. These courses can often be found at schools that offer medical based programs, including Occupational Therapy and/or Physical Therapy majors. Neuroscience or neuropsychology courses typically do not meet this prerequisite. The clinical kinesiology course must include content related to the anatomy and physiology of the skeletal and muscular systems, sensory innervation of muscles, and basic biomechanics. This course should cover both qualitative and quantitative research design. Coursework should include all stages of human development from birth through old age. This information may be covered in one lifespan course or multiple courses (i.e. : child development, adolescent development, adult development). Prerequisite courses may be completed at any accredited college or university. Prerequisite course must be taken for college credit with a letter grade of a B- or better. Students from the BS/MS program enter the professional program first semester of their senior year. They are joined by a small group of incoming Masters students. Therefore, all OT courses in the first year of the professional program are double listed as 700 and 800 level courses. A minimum GPA of 3.0 (overall) is required for continuation in the professional program. Grades B- or above in all courses. Students earning B- or lower in 9 or more credits will be dismissed from the professional program. Passing grades in all fieldwork components. Acceptable professional behavior standards on the Professional Behavior Competencies. Students who do not meet these standards require permission to enroll in additional OT courses. 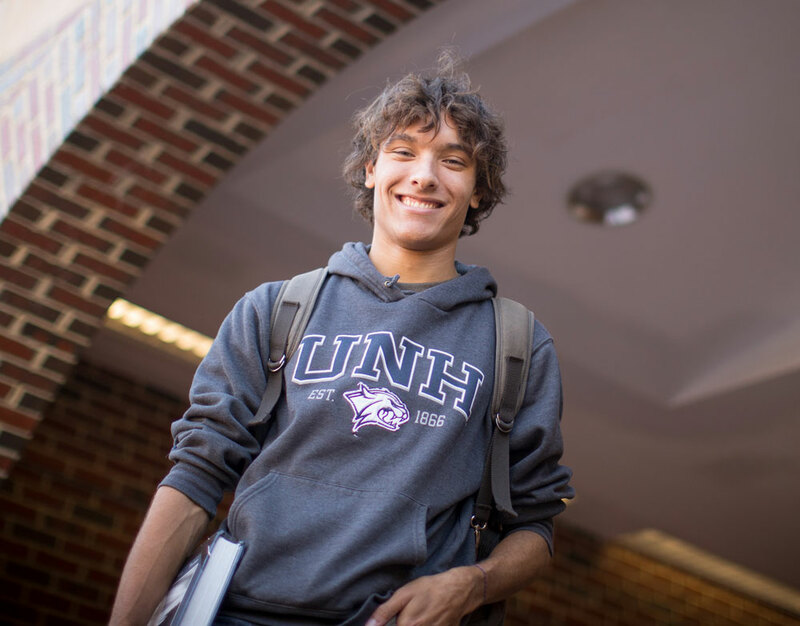 Senior students may complete their BS degree by registering for sufficient elective credits to meet UNH and degree requirements (128 credits). MS students failing to meet these requirements will be recommended for dismissal by the Graduate School. Second Semester, Senior Year: Students must meet the requirements as delineated above. Second semester seniors who do not meet these requirements will not be admitted to the MS degree program. Graduate level: MS students failing to meet professional program requirements as delineated above will be recommended for dismissal by the Graduate School.